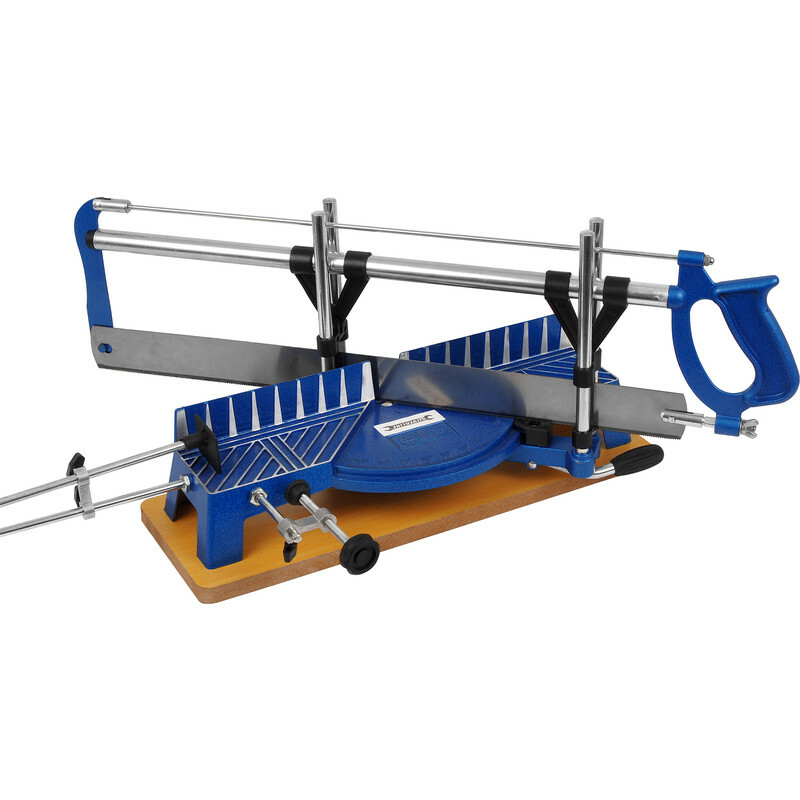 Deep cutting saw featuring a 400mm solid pressure cast saw table with 9 pre-set mitres and workclamp. Blade length 550mm 14tpi. Requires assembly. 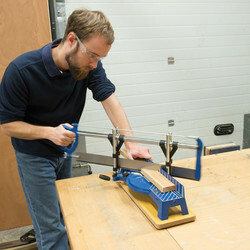 Precision Mitre Saw 550mm is rated 3.0 out of 5 by 45. Rated 4 out of 5 by SammyD from GREAT SAW AND SUPER EASY TO USE I love using this saw, it makes all my jobs so much faster and look much nicer, with nice clean cuts. 100% better than the miter box i was using in the past. Rated 3 out of 5 by Kipladle from Not assembled it yet. Lots of bits to assemble it. Should be easier to put together. Rated 1 out of 5 by Royj from Absolute cheap rubbish - AVOID! I was putting it together turned the blade tensioner and it snapped, it's made of plastic!!! Rated 5 out of 5 by apal from Easy to use Good value. Does what I brought for. Makes cutting wood easy. Rated 2 out of 5 by Anonymous from Dissapointing Purchased to replace my old one, but this is poor in comparison.Very lightweight and don't expect it last very long.